Senior officials at a seminar held in the central city of Da Nang on September 8 concluded that indiscriminate construction of hydropower plants has worsened conditions in the central region of Vietnam. The central region of Vietnam is highly prone to storms and floods and conditions have worsened here year by year, with the increasing numbers of hydro power plants adding to the degeneration of the region. 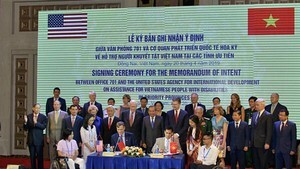 According to Pham Xuan Su, chairman of the National Commission on Irrigation and Drainage, the central coastline stretches a total length of 1,000 kilometres from Thanh Hoa to Khanh Hoa Province. On the west of the region runs the Truong Son mountain range. As a result, the central plains are a narrow belt of land with many large rivers like the Giang in Quang Binh Province, Thach Han in Quang Tri, Huong in Thua Thien-Hue, Thu Bon in Quang Nam and Tra Khuc in Quang Ngai, flowing through it. The rivers run across short lengths covering steep slopes and rocky mountains and hills located in the valleys. River mouths are usually choked with soil and silt deposits which block the flood currents from flowing, causing heavy and often devastating floods during the rainy season each year. From 1995-1999, the central region has experienced 13 storms and five tropical depressions. Within the six years of 2005-2010, natural disasters killed 1,895 people and 219 missing, with total property damage estimated at nearly VND59 trillion (US$2.8 million). The last few years have seen worsened conditions, what with increasing number of natural disasters, indiscriminate construction of hydropower plants and lack of planning. Residents in the central region have faced the worst possible living conditions, Su said. It is time for relevant authorities to stop their rhetoric and swing into action to help the people of this region. Besides, the Government should hold each hydropower plant accountable and responsible for regulating the floodwaters that are causing havoc to low lying areas. The plants should put aside their own private gains at the cost of people’s lives and properties, Su stressed. According to the Institute of Water Resource Planning, from 1985 to 1995, over 131,000 hectares of rice fields were lying uncultivated in winter-spring crop season due to drought and the area increased to 200,000 hectares for the summer-autumn crop. A representative from the Department of Irrigation said that organizations working under the Ministry of Industry and Trade have focused on only power generation but not on water regulation in low lying areas. Most reservoirs are designed to prevent flooding only in their immediate area and not for the low-lying areas of the region. Several provinces have also been unconcerned with the end results and sent proposals for more hydropower projects, even in sensitive areas like natural reserves and national parks. Tran Quoc Hung, deputy director of the Department of Agriculture and Rural Development in Ha Tinh Province said the problems created by hydropower plants such as flooding in rainy season and drought in dry season has been endlessly debated. It is time for authorities at all levels to take action to seriously address the issue. 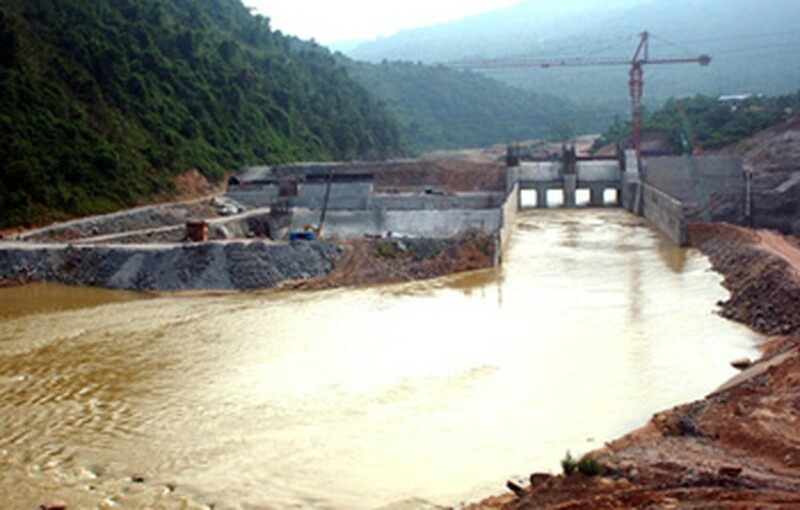 Ha Tinh Province has in recent years rejected several hydropower projects due to small economic gains compared to the loss of precious forest areas. Dao Minh Huong, deputy director of the department in Quang Ngai Province said investors have not taken heed of the alarming flood conditions by providing gauging systems when building hydropower plants. If the plants are equipped with these systems, they can make better and more suitable floodwater release plans, he said. Several officials at the seminar proposed that the Government must examine hydropower projects and eliminate those causing damage to the environment. They also were of the view that the Government should hold the Ministry of Natural Resources and Environment accountable for regulating a systematic process by which the hydropower plants and irrigation reservoirs can release water all year round.